Citiguard is designed to help find security breaches within your company. In that, we will control the organized crime resulting in millions of dollars being lost each year. Most of the theft of products happens during transportation, with our strict activity log, we will be able to eliminate most theft, shipping loss, employee tampering and property damage. Not only will we protect the company from losing money, we will help filter out the problematic areas and employees. 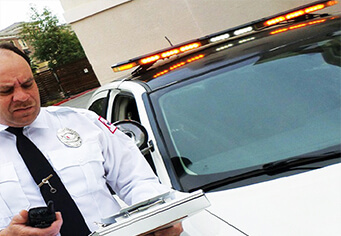 Citiguard’s transportation security guards enforce all laws and policies imposed. The logistics team at Citiguard will provide you with the materials and equipment needed so your employees can operate fully from a remote site, safely and securely. We will also provide homelike items to make them feel more comfortable and allowing them to keep in touch with loved ones.